View Trans: A Migration of Identity, opening March 6th and closing April 13th, 2018 at the South Eleuthera Mission in Rock Sound. The exhibit is open to the public, Monday-Friday, between the hours of 9:00am and 4:00pm. These events are all free of charge and open to the public. 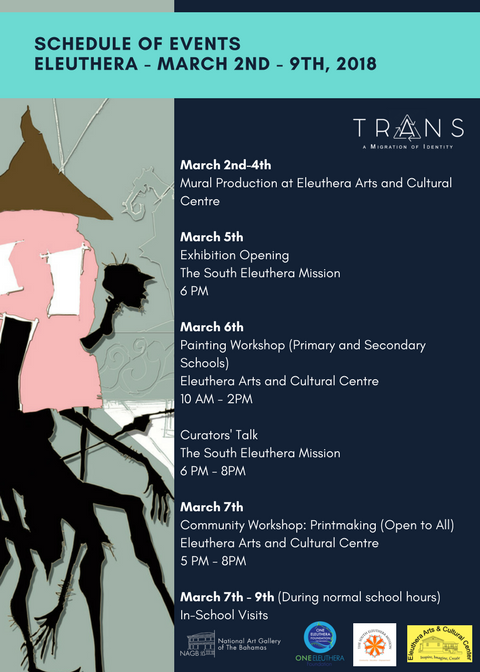 The National Art Gallery of The Bahamas (NAGB), in partnership with One Eleuthera Foundation (OEF), the South Eleuthera Mission (SEM), and the Eleuthera Arts & Cultural Center (EACC), is proud to premiere its second inter-island travelling exhibition, Trans: A Migration of Identity in Eleuthera! A week of exciting activities is planned, where the entire community – young and old – will be engaged in the creation and appreciation of Bahamian art. The exhibition is, as the NAGB describes, a collection of “works that question and respond to our collective reality – one that is shaped by the movement of peoples from many origins.” The exhibition is inspired by “the most striking and impactful of these human migrations, the forceful transport of enslaved Africans” to the Western Hemisphere via the trans-Atlantic slave trade. Beginning with an opening reception on Monday, March 5th at 6pm, the public will have its first opportunity to view Trans: A Migration of Identity at the South Eleuthera Mission in Rock Sound. On March 6th at 6 pm, co-curators Abby Smith and Richard Barrett will host a Curators’ Talk at the SEM, which will be a lively discussion and exploration of featured works. The creative fun will continue on March 7th at 5 pm, with an open community print making workshop and will be hosted at the EACC in Tarpum Bay. These events are all free of charge and open to the public. A special painting workshop for primary and secondary schools will take place on Tuesday, March 6th, from 10 am – 2 pm. 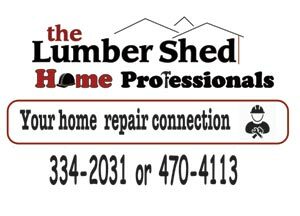 To schedule your learners, contact 334.2948. Experience and explore the transformative narrative of migration, arrival, assimilation, and renewal that has shaped our Bahamian identity around and beyond the harrowing events of our past in this vibrant and thought-provoking exhibition! View Trans: A Migration of Identity, opening March 6th and closing April 13th, 2018 at the South Eleuthera Mission in Rock Sound. The exhibit is open to the public, Monday-Friday, between the hours of 9 am and 4 pm. For more information about the National Art Gallery of The Bahamas, visit www.nagb.org.bs. For more information on One Eleuthera Foundation and its partners, visit www.oneeleuthera.org.